Podcasts are terrific way to keep up with the latest information and pick up new tips and tricks. And with the summer months here, they are especially useful to listen to during long hours of yard work, bike riding, or simply sitting at the beach. We know podcasts cover pretty much every subject imaginable, but what about Google? In this article I will share two particular podcasts that specifically address Google news, rumors, tips, and ideas. If you know of others to recommend, please put them in the comments section. I am embarrassed to say I only recently learned about the podcast, and they are already on episode 20, so I have quite a bit of catching up to do! I did catch the latest episode and really enjoyed it. The podcast was professional, the hosts were knowledgeable, and the information shared was excellent and practical. So far episodes have covered topics including Google search, Google Video, Map Maker, SketchUp, Flubaroo, and much, much more. To subscribe to the podcast (as well as others by the EdReach network) you can use this iTunes link or this RSS reed link. This Week in Google is one of the many podcasts from the TWiT (This Week in Tech) network. Leo Laporte is the host of this weekly podcast, and is usually joined by Jeff Jarvis and Gina Trapani. Although the podcasts is not specifically about the educational use of Google, it does cover all the news and rumors about Google products, and often includes insightful interviews with people from Google or close to Google. 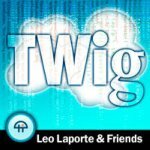 I have been listening to TWiG since pretty much the beginning (they are up to episode 99 now). I always find something useful in each episode that I can apply in my school district. To subscribe to the podcast you can use this iTunes link or this RSS reed link. I would encourage anyone wanting to learn more about Google Apps to check out both of these excellent podcasts. And be sure to suggest others you know in the comments below.